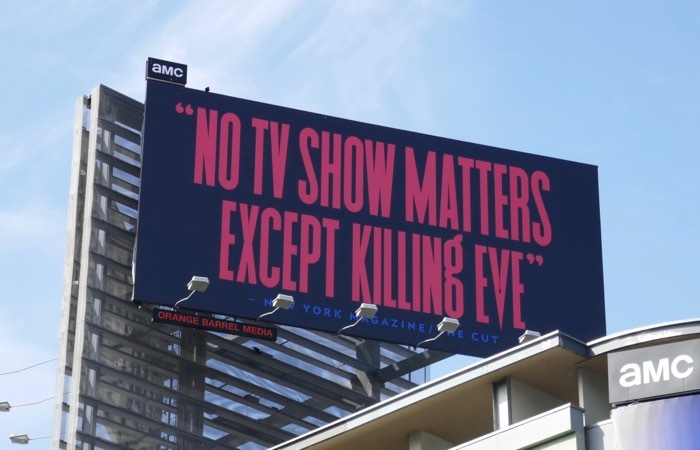 The first season of Killing Eve really brought something new and fresh to the spy genre with its twisty storyline and compelling characters, and now it's back for a killer sophomore season. 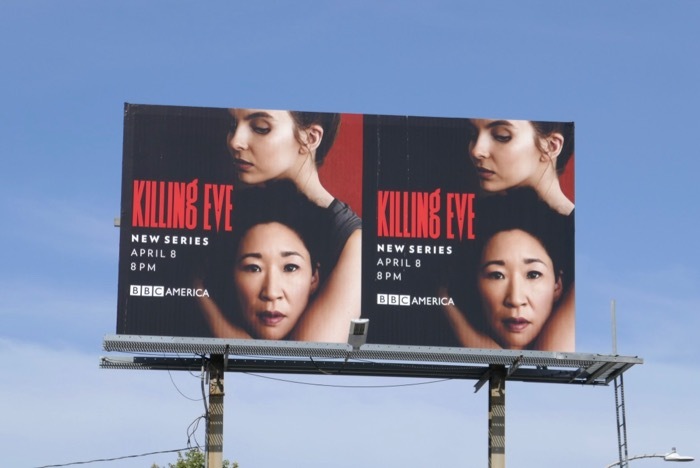 In her pursuit of Jodie Comer's psychopathic assassin 'Villanelle', Sandra Oh's usually desk-bound MI5 security officer 'Eve Polastri' really mixed up her life, personally and professionally, in her efforts to track down the talented killer which ultimately led to deadly results. 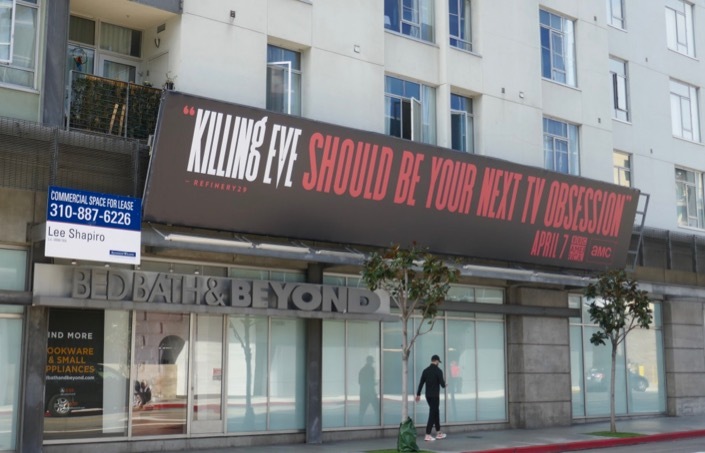 Now the series created by Phoebe Waller-Bridge is back for more cat and mouse games of espionage, obsession and sexual attraction. 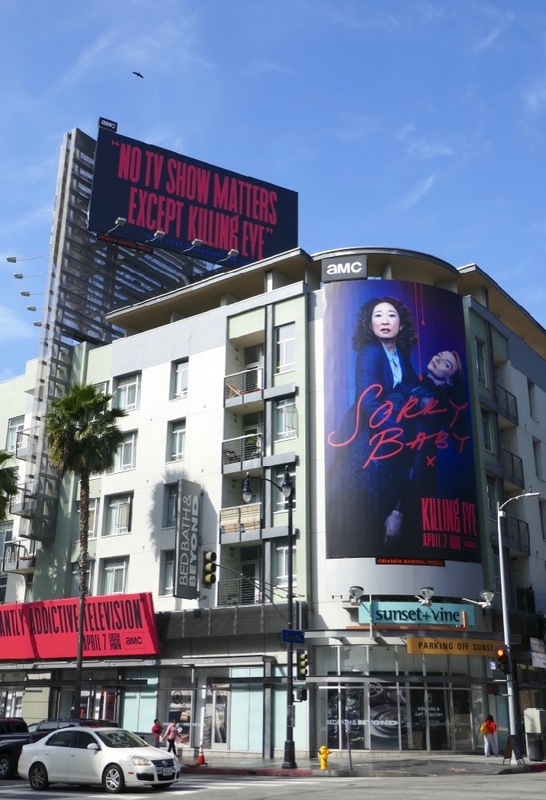 These sophomore season billboards were spied along Hollywood's Vine Street, the Sunset Strip and San Vicente Boulevard from March 27 to March 29, 2019. 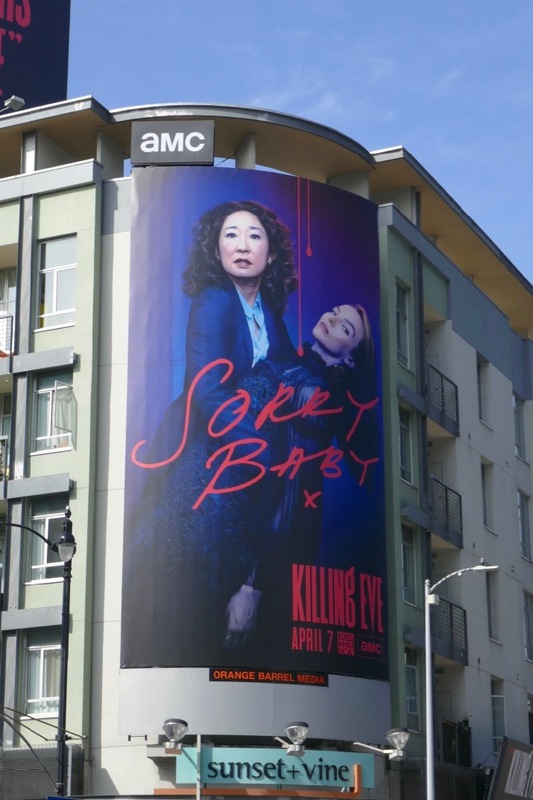 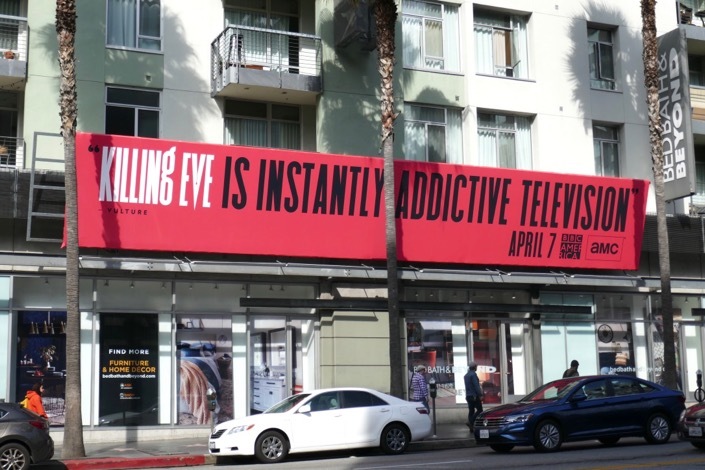 Meanwhile the season one billboards were snapped along Melrose Avenue and Fairfax Avenue on April 8, 2018. 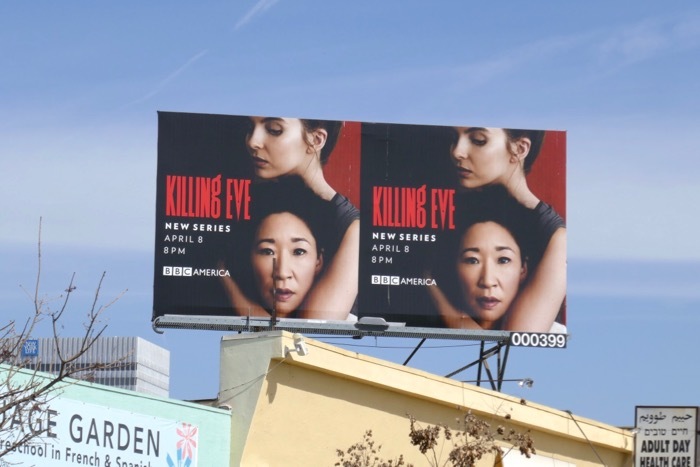 Fans of Jodie Comer can also enjoy these billboards for The White Princess from spring 2017. 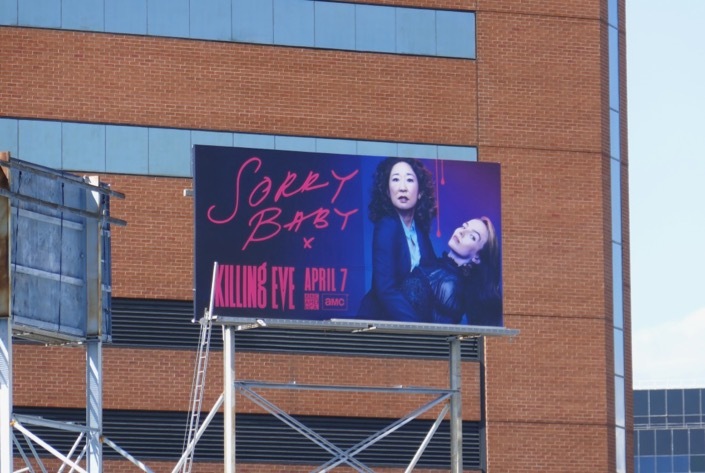 For the debut season Sandra Oh was nominated for a Primetime Emmy Award and took home a Golden Globe and Screen Actors Guild Award for Best Actress, so let's see if the intrigue, suspense and acclaim will continue with the second daring season.